My first step on English soil after 3 and a half years was on 20th February 2019. I’d just endured an epic 48 hour journey from my workaway in Sungai Petani in Northern Malaysia to Kuala Lumpur to London Heathrow via Karachi. I’d flown with PIA (Pakistan International Airlines), a mistake I plan never to repeat. Flying with PIA is as about as desirable as the bubonic plague. The food was disgusting; the inflight entertainment was non-existent; and the service, since I was the only white female, was poor at best and non-existent at worst because every Pakistani man had to be dealt with before me. The flight was full. I saw only 4 other women and they were Pakistani. Every man had a trolley loaded with bags and bundles. They must all have been carrying at least 50 kg of luggage. One guy asked if i’d take some of his bags because I only had a small bag. Let me think – No? It was nothing short of miraculous that we actually took off. In short, a journey from hell. I’d returned home because I was really missing my friends and family. But I thought it was the perfect opportunity to get my Chinese visa. If you cast your minds back I’d left my trike in Seoul, South Korea at the end of September 2018 and unless I wanted to fly out of South Korea, the options were fairly limited. In fact without a flight my options were (a). Ferry back to Japan. (b). Ferry into China. I’ve never been to China and so option (b) seemed the most desirable and how hard can it be to get a Chinese visa? Before I could start the visa process I needed a new passport. I actually still had until June 2022 before my passport expired but with only 2 clear pages remaining it was almost useless. And here I discovered my first conundrum. Typically a new passport takes several weeks to attain and without a new passport and its number I couldn’t start a visa application process because every visa requires a valid passport number. Make an appointment at the passport office. This can be done on-line. I had monitored appointment availability during the preceding weeks. Why? I expected to be available for an appointment early on the 21st February but if there were any problems with my flights from Kuala Lumpur and I missed my appointment I would forfeit the fee (basically the cost of my new passport). I couldn’t afford to wait several days for an appointment once I was back. However I’d seen that there was daily appointment availability even if only booking the day before. So I didn’t book until I landed in Heathrow. Have a paper passport application form ready for completion. Fortunately my friend Kate had picked up an application during the preceding week. Since I landed at 1630hrs on 20th and my appointment was for 0845hrs on 21st I had no time to do it myself. Photographs. I stopped at a photograph booth in Heathrow airport. I had everything I needed and I’d repeatedly checked online as to how to complete the application form correctly. I was in some doubt as to whether I’d changed significantly since my old passport photo. If the change is deemed significant then the new photographs have to be certified (‘’this is a true likeness…..blah, blah”) and the certifier has to complete part of my form. I thought I really hadn’t changed significantly but I couldn’t take the risk. Fortunately Kate was able to sign my photos and application. Again this is something you can’t afford to get wrong. If your application form is rejected, you forgo your fee. £100 for express, 4 hour service. 8. Yes, when I made my appointment online I had paid £187. This is non-refundable. You can’t afford to get this wrong! Four hours later I had a brand new passport and I hadn’t even been home 24hours. a. I didn’t have a passport number, date of issue and expiry date. b. I knew I needed proof that I was entering and exiting China but to justify a 2 year visa how long a period did I need to be in China? c. I needed an itinerary and proof of stay but it needed to match my stay in China and without the answer to (b) I couldn’t do (c). 10. It was a frustrating problem but Kate had the solution. I should visit the Chinese visa application centre whilst waiting for my new passport and see if I could find the answers. Since it’s near St Paul’s Cathedral this seemed a great idea. In total I had to visit the Chinese visa centre 3 times and each time it was like a mad house; absolute bedlam. Who knew Chinese visa acquisition was such a popular pursuit? On my first visit I wandered around and then joined a queue. I had no idea why people were queuing but there’s nothing I love better than a good queue and I’d been deprived of this basic British pastime for 4 years. Whilst I stood in the queue I was busy trying to assess its purpose: where it led, what paperwork other queuees were holding and eavesdropping on snippets of conversation. Then I noticed a lady moving down the queue, chatting to queuees and checking their paperwork. And eventually she got to me and solved all my problems. Yes a 2 year multi entry visa was easily achievable but I must only show a 30 day (or less) visit into China, anything more is deemed suspicious. I needed a flight in and out of China (a flight not a ferry or a train) supporting this fictitious 30 day visit and an itinerary or hotel booking to match. OMG simple! I scurried away, delighted by my discovery and only a little disappointed to have lost my opportunity to queue. 11. I picked up my new passport and returned to Kate’s house in Streatham Hill. Having a base in London is a ‘’must” if you’re embarking on this process. Back at base it was time to complete my online Chinese visa application. I had my new passport number, issue and expiry date. I needed a flight into and out of China. But I knew I wasn’t ever going to use this flight. The reality was that I would enter China on the ferry from South Korea. I needed a fully refundable flight. By 9am on 22nd I was sick of searching the Internet for such a product and having exhausted my patience I phoned British Airways. Ten minutes later I had booked a fully refundable return flight to Bejing from London. Cost £2500. Yes £2500 – thank God for credit cards!! Once that was done I was able to make one hotel booking in Bejing for the same dates using booking.com. Within minutes my online application was complete and I had all the paperwork I needed but unfortunately there were no appointments available for several days. 12. 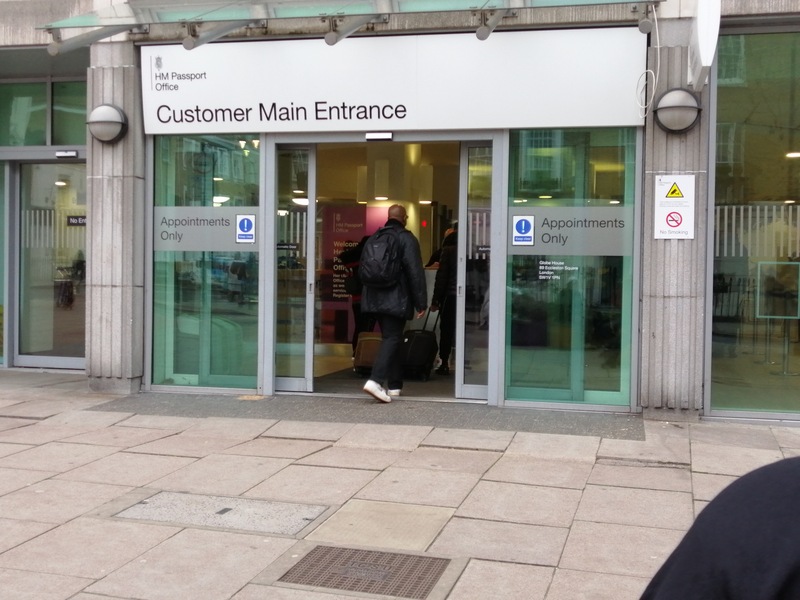 I returned to the visa application centre on 28th February. Despite having an appointment time I had to queue to be issued an appointment number and then had to wait until it was called. I then submitted my printed application form, my photograph, my new passport, my flight confirmation and my hotel booking confirmation. My paperwork was checked and accepted. I was then issued another ticket and had to wait downstairs to pay for my visa. Cost £151 for a 2 year multi entry. I had wanted the passport posted out to me but I only had sufficient cash for this service. The delivery service is £181. They don’t accept credit cards and my debit card was out of date. Once I had paid I was given a ‘’pick-up receipt”. My passport with my Chinese visa would be available on the 7th March – that’s just 4 full working days. 13. It was at this point that I decided on a course of action that would require a lot more effort and expense. Instead of flying back to South Korea as I’d originally intended, I’d take the Trans Siberian railway, across Russia into Mongolia and finish in Bejing. From there I could take a ferry into South Korea. I timidly suggested my new idea to Kate who was absolutely in favour of the idea. Afterall when in the future would I want/need to travel West to East, Europe to Asia and already have completed a third of the visa requirements. This just goes to show there are few actions more stupid than those decided on impulse. All I needed was a Mongolian and Russian visa. Again I searched visa companies but they actually charge a premium but still require the client to provide an awful lot of the paperwork and it’s producing the paperwork that’s the major obstacle . 14. I made my decision about the Trans Siberian railway on the 1st March. I needed to be in London on the 7th March to pick up my passport with my Chinese visa. I needed my passport in order to get more visas. So that’s 6 days to get my paperwork completed. 15 . To get a Mongolian visa you need to know when you’ll be there. (Actually I discovered AFTER the event this isn’t entirely accurate. There’s a 90 day window to enter). Since I didn’t know how long I wanted to be in UK and didn’t know how long to spend on the Tran Siberian journey then how could I decide on the correct dates for my visa. 16. I needed proof of entry and exit into Mongolia and British Airways don’t flying into Ulaanbaatar, Mongolia. I thought booking my BA Bejing flight was inspired. A British company with English speakers allowing minumum room for misunderstanding and a British phone number are very important considerations when you know you will cancel the flight. Stupidly I didn’t even research BA flights so it was pretty entertaining when the booking assistant asked ‘’where?” and then denied all knowledge of the country and the city. BA do not fly to Mongolia . 17. I considered booking a flight with another airline but eventually decided to book rail tickets for that part of my journey. I had read the advice of “seat 61” the Internet rail enthusiast / expert and since the international leg of this journey is considered the pinch point of this journey with only 2 trains a week, it seemed a sensible option. I used ‘’RealRussia” to make this booking. Ulan Ude, Siberian Russia to Ulaanbaatar, Mongolia (548km) to Bejing, China (1167km). The cheapest tickets are 2nd class and cost £300. Once I had decided to make train reservations the remainder was simple. 18. On the 7th March I caught the train into London to pick up my passport from the Chinese visa centre. I had decided that once I had my passport I’d head to Kensington and the Mongolian embassy and apply for that visa. I had realised that I would need the express Mongolian visa which takes 4 hours and costs £60. The alternative was to wait several days for the standard service which would mean another trip into London. Unfortunately because I wanted to avoid peak rail travel periods I wasn’t able to get to the Chinese Visa Centre until 0945am. Having queued and presented my visa receipt at the reception desk I was issued with a numbered ticket and went downstairs to wait for my number. If you think picking up a passport with a Chinese visa will be quick, think again. I was there nearly an hour and was practically pulling my hair out with impatience. Why the high level of impatience? Well I needed to submit my paperwork by 1200hrs. Once I had my passport I hightailed it to the Mongolian embassy in Kensington. In the basement of the Mongolian Embassy is a drab room with one lady dealing with visa applications. There must be very little demand for Mongolian visas because it’s only open 3 days a week and there was only one other customer in the basement, waiting. (I think the 3 day week is during winter months and low demand because I googled it today ((April 2019)) and it’s open Monday -Friday). I submitted my paperwork and was told it was fine and was issued a pink raffle ticket and told to come back in 30 minutes. Yup it didn’t even take 4 hours. This is an incredibly low tech system compared to the Chinese Visa Centre. So by lunchtime on 7th March I had 2 visas done and only one left to do. My Mongolian visa was issued on the 7th March and is valid until June. RUSSIAN ONE MONTH SINGLE ENTRY TOURIST VISA. a. Which countries have you visited over the last 10 years and when, with a from and to section. Wow that’s probably 50 countries and with actual dates? No chance. b. Have you served in the military? Have you served during any conflicts, if yes when and what was the name of the conflict. c. Give your full itinerary. 20. Besides my problems with the application form I also needed “visa support documents”, but this must be issued by a Russian agency. Hotel and travel booking proof won’t work. I used an online company that issues this official document for about €15. I just needed to give my personal details, dates of travel and 5 cities on my itinerary. I had the document in less than 5 minutes . 21. By the 7th March I had everything I needed for my Russian visa except a completed application form. I had expected to spend the day of the 7th in the Chinese and Mongolian visa centres – see I do know how to have a great day out in London. But instead I had the afternoon free. So I headed to the Russian visa centre planning to beg for their mercy and be offered a ‘’shortened Russian visa application for dummies” and that’s exactly what I got. I took my numbered ticket and waited for about ten minutes. I showed the assistant my paperwork and that was all fine. 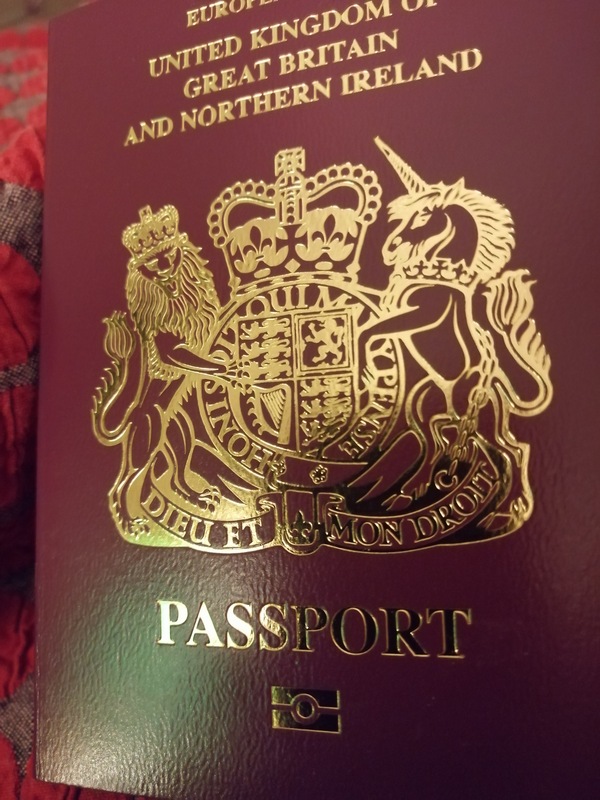 I explained that I couldn’t remember which countries I’d visited over the last 10 years and she looked at my brand new passport and said ‘’no entry or exit stamps, so no details required”. I mentioned armed conflicts and she said one month tourist visa just say No. And for the itinerary just copy the support document. So that was it – simple. She pointed to a row of computers and told me to finish my online application. There’s an assistant who monitors the computers and she repeatedly came to my aid. She’s clearly used to us “dummies” trying to complete these forms and she’s happy to speed us on our way and off her computers. She then printed my application. I think use of the computer and printer cost about £5.00 but in terms of the help I’d received it was priceless. I took another numbered ticket and waited awhile and then submitted my completed paperwork and had my fingerprints scanned. Then I paid £184 for my one month, single entry tourist express visa which included delivery to a home address. Yes, a hefty £184. The standard service is about £107 but it requires 21 working days to process so I just didn’t have enough time. One week later my passport was delivered, brand new and with 3 visas. This certainly wasn’t a cheap process especially with 2 express visas required but if I had used a visa agent I think it would have cost an additional £300. Note 1: for my military colleagues out there both the Chinese and Russian visa applications ask about military service but as you can see it doesn’t preclude getting the visa. Note 2. In retrospect the process above seems stress free but in reality it was horrendous. Now I’ve succeeded and know the answers it’s easy. But before I had the answers I kept phoning the visa centres above and I spent hours asking Mr Google for advice. Unfortunately Mr Google has never bothered to complete a Russian visa application so he was as useful as a chocolate fireguard! #British passport, #Chinese visa, #doing_everything_myself, #Express service, #Mongolian visa; #Russian visa; #, #solo traveller. permalink. I was utterly drained reading through the process, so God only knows how you actually coped! Brilliant, enlightening but very entertaining.